David was born in Marietta, GA, and Geri in Macon, GA. They both grew up in the Marietta/Smyrna, GA, area. David was saved at the age of 13 and Geri at 9. They were both active in their churches during these growing up years. Before they even began dating, they both knew that God wanted each of them serving Him as a missionary. During their years of dating, God confirmed to each of them that He wanted them to serve Him in the cities of Brazil. David and Geri were married in 1986. In 1987 they were accepted as missionaries with Baptist Mid-Missions. They raised their support and were on the field October 1988. They began their family in Brazil. God has blessed them with 3 beautiful daughters - Maria, Rachel, and Rebecca. They ministered in São Paulo, Capital, from 1988 until 1995, at which time God moved them to Curitiba, PR. They ministered in Curitiba, PR, from 1995 to 2001. In 2001, before their furlough, God led them to Londrina, a city full of religion, but lost without a Savior. 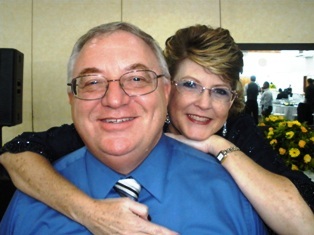 Upon their return from furlough in 2002, they began their ministry in Londrina, PR, where they continue to minister today. They have started 3 churches in Londrina. -Bob Jones University with a BA in 1986 with a major in Missions and a minor in Homiletics. -Pensacola Christian College and Theological Seminary with a MA Biblical Exposition in 2002. -He received an Honorary Doctorate from Antioch Baptist Bible College in 2006. -He received a Master of Divinity (M.Div.) from Antioch Baptist Bible College and Seminary in 2015 and a Doctor of Ministries (D. Min.) degree in 2016. He enjoys working with historical facts and geneological research. He also enjoys writing books recording baptist history. Geri also graduated from RL Osborne HS in 1982. She then attended Georgia Baptist School of Nursing where she received her diploma in 1986. In 2016 she received a Bachelor of Arts in Biblical Studies from Antioch Baptist Bible College and Seminary. She enjoys handcrafts and working on their website.